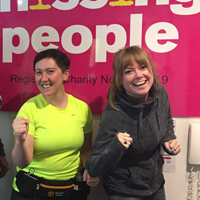 Bryony, Community and Events Manager, and Georgia, Communications Officer, are taking part in the Missing People 10k on 11 June. Why did you decide to sign up to the 10k? Georgia: I first got into running just over a year and a half ago. 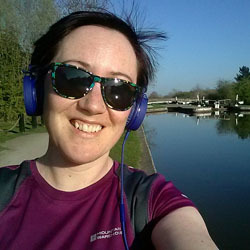 Whilst at my previous job, a friend started an after-work running club as she was training herself for the London Marathon. I've never been interested in sports or exercise, so I joined out of support/pity/peer pressure rather than any real desire to run. However it turned out I wasn’t completely useless and even started to enjoy it. When I joined Missing People, I hadn't run for a while, so decided to sign up to the 10k for some motivation to get me going again, a chance to bond with new colleagues, and to support a charity I feel very honoured to work for. Bryony: My job at Missing People is to manage the Community Fundraising & Events team so I think it’s important to literally walk the walk if I want others to go the extra mile for us. I also volunteer on Missing People’s helpline taking calls from people away from home and families with a loved one missing, so I know how important it is to raise money to keep it running 24/7. I’ve always found that taking part in challenge events are brilliant for staying motivated, boosting my physical and mental health and having fun. Have you taken part in a run or challenge event before? 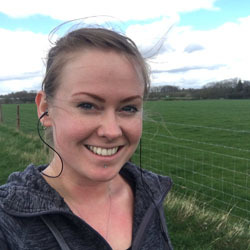 Bryony: I ran the Royal Parks Half Marathon for charity in 2015 and the training really gave me the bug. Unfortunately it was hard on my knees as I made the classic beginner runner’s mistake of not stretching enough and not doing other types of exercise like yoga or swimming to strengthen supporting muscles to protect my joints. I’m back in the swing of it now though, running three times a week using the Zen Labs Couch to 10k app. I’m now on week 10 of 14. Georgia: I ran in the Adidas 5k, about 9 years ago. I was absolutely clueless at the time, so my training consisted of running around a field, on 2 or 3 occasions. I managed it on the day, but made an immediate beeline straight from the finish line to the first aid tent as I thought I was going to pass out. It was a lesson learned! Georgia: It makes a difference having somebody to train with as one can motivate the other on the less-enthusiastic days. 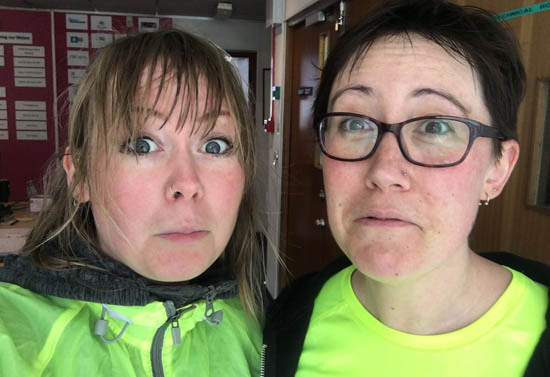 It’s actually been fun – excluding the day Bryony made me run in torrential rain and I spent the afternoon working in soggy socks. It's motivating to feel the progression; I can now run for about 45 minutes and although it definitely isn’t easy, it isn’t as difficult or awful as I’d have imagined it to be before I started training. Bryony: It’s been tough at times as I was definitely more couch potato than runner bean at the start. Through the running club at work, I’ve been out lots of lunch times with Georgia and outside of work I’ve run with my nephews or on my own. It’s a great way to spend time with people spurring each other on or to go alone and have some “me” time. I love running in Richmond Park near the office because you see so much wildlife – deer, bunnies, squirrels and parakeets, and when I’m at home I run in Brockwell Park which is an oasis of calm in buzzing Brixton! How are you feeling with less than 1 month to go until the race? Georgia: Pretty good! I managed 9k this weekend so I’m nearly there. And I’m sure on the day, any struggles will be overcome by the brilliant atmosphere and lovely views, and we’ll be spurred on by all the amazing people who come to support us and all the other runners. Bryony: I’m really excited! I ran the same route last year and it’s beautiful along by the Thames Path. The race is organised by our friends at the Bearcat running club who are amazing so it will be a really fun run followed by a BBQ and swing band at the Turks Head pub. There are a few places left so if you haven’t already, do sign up and join us! Sponsor Bryony and Georgia or you can sign up to take part in the Missing People 10k.